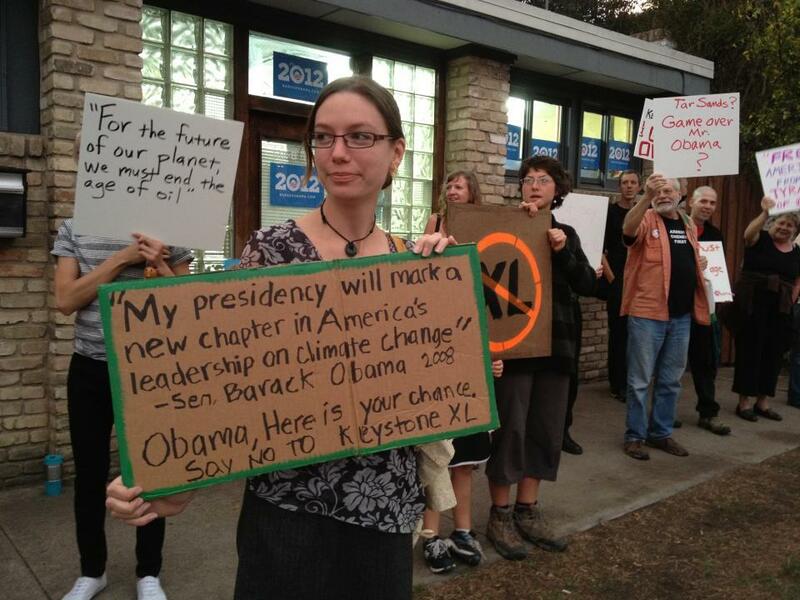 AUSTIN, TX – Campaign staff and volunteers working for President Obama’s re-election got an earful from environmentalists in Austin on Monday, one day after 12,000 people encircled the White House in Washington DC to protest the proposed Keystone XL pipeline. Many of the signs at both protests featured quotes from President Obama’s 2008 campaign when he made bold claims about reducing oil dependence to the delight of young voters and environmentalists. 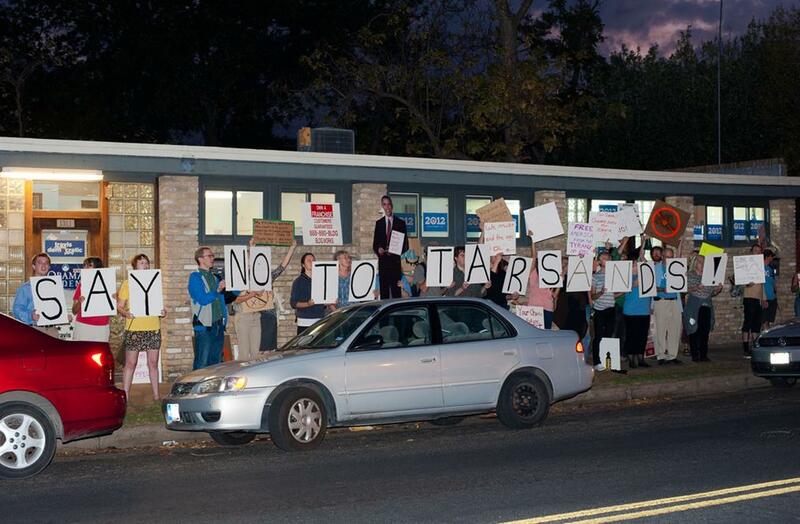 Between chants protestors celebrated signs their actions are making headway in the fight against the tar sands pipeline. “Just today the inspector general of the US State Department agreed to investigate the environmental assessment process. The relationships between TransCanada and the State Department were too cozy resulting in a deeply flawed process,” said Chris Wilson, a retired chemical engineer who recently authored a report criticizing the State Department’s environmental impact study. their voices towards the campaign’s offices inside a small building on the corner of East 6th and Navasota St. During the protest two representatives from the group were invited in to speak with Hector Nieto, Texas director of Obama for America. Monday’s protest comes only a week after a widely reported “oil zombie” themed Halloween protest at City Hall, and organizers show no signs of slowing down. On Saturday November 12th they plan to join forces with Occupy Austin to hold a march on Citigroup who they accuse of helping to fund tar sands giant TransCanada. Then on November 28th they plan to return to the campaign headquarters along with organizers in all 50 states who will be demonstrating outside of local campaign offices.